Home » What's New » No Hay for the Horses? No Hay for the Horses? 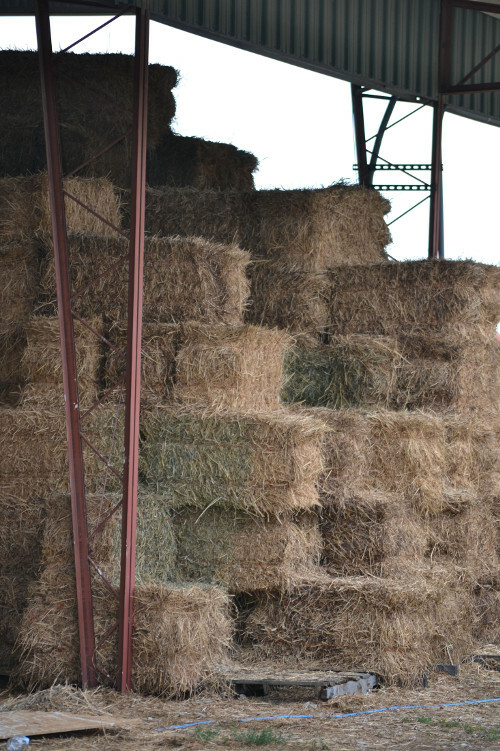 Horse owners savor the sweet smell of freshly-baled alfalfa stacked neatly in barn lofts, and take great comfort that their charges will be well-fed throughout cold winters or dry seasons. We expect roughage to be easy to come by and relatively affordable: hay may be baled in a neighbor’s field, or conveniently delivered by truck after a quick call to the local feed store. But what would you do if there was no hay to be found? Or hay became so expensive that you couldn’t afford to feed your own horses? In 2001, the estimated value of U.S. hay production was around $13 billion, making hay the third most valuable crop in the country. While it may be valuable, hay also takes a lot to produce: a lot of time, money, manpower, storage, equipment, and a whole lot of land. But as open land i s consumed by development at an astonishing rate of 250 acres every hour, sooner or later the acreage needed for hay production (including your neighbor’s fields) could be lost. In his home of Aiken, SC, Byers has seen dramatic land use changes firsthand. “Just in this little town, within a 30-mile radius I can identify about 800 acres of former forage land that has been developed in the last five years,” he explained. Byers believes equestrians cannot continue to take the availability of affordable hay for granted, and that protection of land through conservation easements, purchase of development rights, and community action through land use planning is critical in order to protect hay supplies for the future. “Every horseman has to be aware of land use planning in his or her area,” he noted. “That means going to meetings, knowing what’s happening where you live, and being willing to speak up about the importance of agricultural lands close to populated areas. This is our responsibility to our horses.